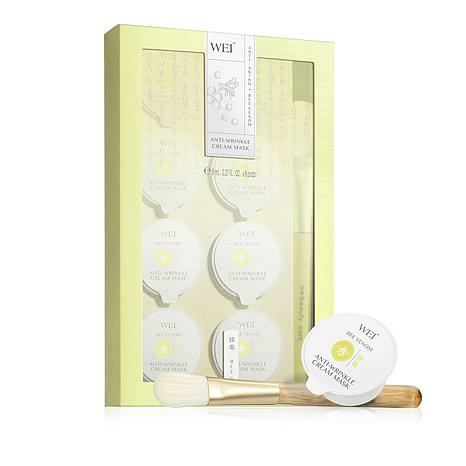 Formulated with high-quality bee venom and a proprietary compound of traditional Chinese herbs, this mask is especially for those with concerns of visible dryness, crepiness or lines and wrinkles. 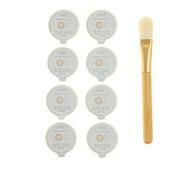 Brush mask on clean face, avoiding the eye area. There will be a temporary, slightly warm, tingling sensation that will end with skin feeling soothed. Rinse with warm water and pat dry. Follow with serum and moisturizer. Rinse brush clean with warm water and soap after each use and air dry for storage. Caution: Consult your doctor before use if you have bee allergies. Ingredients: Aqua\Water, Isocetyl Stearate, Butylene Glycol, Isostearyl Stearoyl Stearate, Stearic Acid, Glyceryl Stearate, Tromethamine, Butyrospermum Parkii (Shea)Butter, Ozokerite, Bee Venom, Nelumbo Nucifera (Lotus) Stamen Extract, Nelumbo Nucifera (Lotus) Germ Extract, Zingiber Officinale (Ginger) Root Extract, Centella Asiatica (Gotu Kola) Leaf Extract, Lilium Longiflorum (White Lily) Bulb Extract, Glycyrrhiza Uralensis (Chinese Licorice) Root Extract, Ganoderma Lucidum (Reishi Mushroom) Extract, Angelica Acutiloba (Chinese Angelica) Root Extract, Glycine Soja (Soybean) Seed Extract, Phenoxyethanol, Polysorbate 60, Sorbitan Stearate, Caprylyl Glycol, Xanthan Gum, Carbomer, Disodium EDTA, Benzoic Acid, Parfum\Fragrance, Benzyl Benzoate, Benzyl Salicylate, Hexyl Cinnamal, Limonene, Polysorbate 20, Yellow 5\CI 19140. 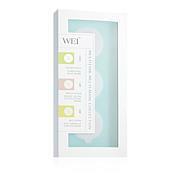 I have tried this product twice now and I really like it---It goes on real smooth and has no odor at all---my skin has a glow to it now--and my pores seem smaller too---If you are not allergic to bees--I highly recommend you try it---Wei I have used your products since you first came on HSN---I haven't used one of your products--I didn't like---glad to see you back too. East meets West when centuries-old Chinese herbal formulas combine with advanced American cosmetic techniques for younger-looking skin. Take a natural approach to beauty with pampering formulas that are a pleasure to put on. Chinese plants and roots such as ginseng and ginkgo seed are harvested at carefully selected stages to obtain the highest quality. Remind me about Wei Beauty upcoming shows. What It Is This overnight beauty facial in a jar features a weightless soufflé texture that melts instantly into your skin. Enriched with wild rose oil, stabilized Vitamin C, Vitamin E, rose extract, hyaluronic acid, imperata cylindrica extract and other key ingredients, it works while you sleep.